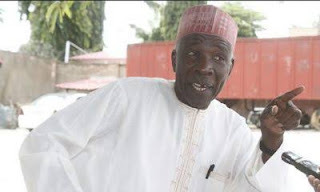 A former ally of President Muhammadu Buhari, Buba Galadima has alleged that President Muhammadu and his party, the All Progressives Congress (APC), have heavily paid some people to beg Atiku Abubakar, candidate of the Peoples Democratic Party (PDP) in the February 23 elections, not to challenge the result in court. Galadima made this known when he featured on Sunrise Daily, a programme on Channels Television on Wednesday. Recall that there have been earlier reports that Atiku has claimed that he defeated President Buhari by about 1.6million votes. This was contained in the petition he filed before the Presidential Election Petitions Tribunal in Abuja on Monday, to challenge Buhari’s victory.